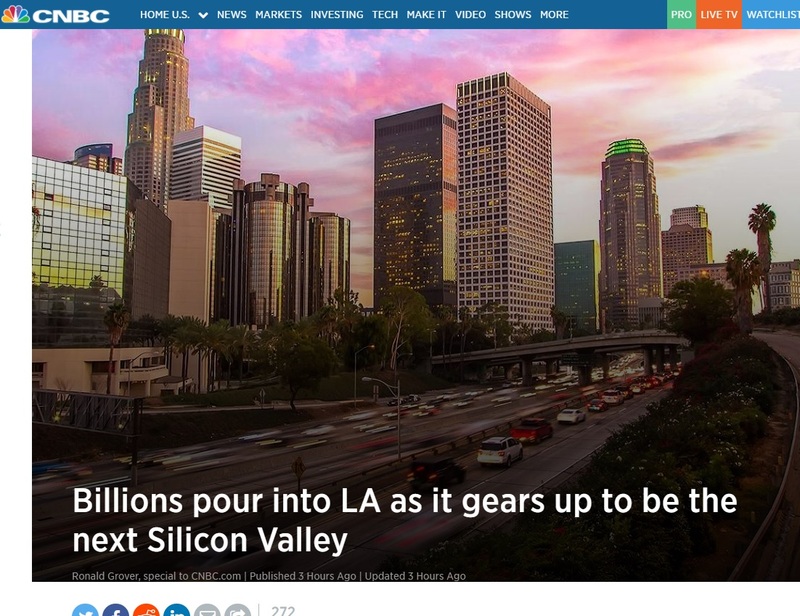 Center for a Competitive Workforce, of which LAEDC is a founding partner, has released a new report suggesting the need for more “middle-skill” talent to fill occupations in Los Angeles and Orange County industries. The report studied 20 occupations which were selected because they are in-demand occupations in growing industries, representing great opportunity for careers as well as representing important talent requirements of the businesses in these sectors. The good news is that the trajectory is already changing for the better, as LA’s community college system works to address the needs identified in the report. Watch the press briefing HERE, with remarks by LA County Supervisor Mark Ridley-Thomas, Assemblywoman Autumn Burke, Assemblymember Raul Bocanegra, President of the LACCD Board of Trustees Sydney Kamlager-Dove, and Richard Verches, Director, LA|OC Regional Consortium of Community Colleges. LOS ANGELES, CA (October 3, 2017) – A first-of-its-kind report released today revealed that while the 28 community colleges in the greater Los Angeles / Orange County Basin (“LA Basin”) are developing talent for high-growth occupations, industries and local employers, there are opportunities for greater industry alignment to grow career education programs that provide local residents the skills they need to access well-paying jobs and careers, while improving the ability of businesses to have access to — and participate in the program development that will ensure — a reliable pipeline of qualified talent. This is the first report produced by the recently launched Center for a Competitive Workforce. It includes an analysis of 20 middle-skill occupations for which community colleges offer degree and/or certificate programs. The occupations are drawn from six regionally-concentrated industries in which the LA Basin has a competitive advantage over other economic regions. Potential shortages were and identified by performing a gap analysis that compared the occupational forecast with the number of community college graduates from programs associated with training required for these occupations. In the region there will be approximately 67,450 job openings over the next five years for the 20 occupations examined in the report. But, according to the latest data available, from the academic year 2014-15, there were fewer than 27,000 career education award earners in the greater Los Angeles Basin. And only about 7,800 awards were conferred in programs training relevant to the 20 target occupations. If this trend continues without our region’s talent development systems and institutions responding in kind, especially the community colleges which are the primary suppliers of this middle skill talent, then the demand in the region will not be met over the next five years. 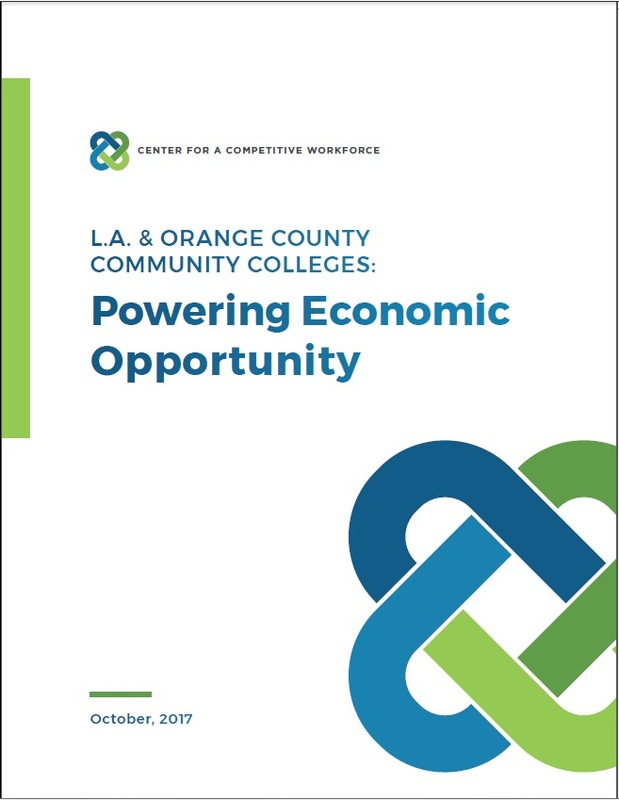 The report, titled L.A. & ORANGE COUNTY COMMUNITY COLLEGES: Powering Economic Opportunity, was funded by the Strong Workforce program, an initiative of the California Community College Chancellor’s Office. Gain more insights by viewing the report at Center for a Competitive Workforce (Here).